Boat Description The CFi 2285 is Crestliners ultimate fishing pontoon. It has livewells in the bow and stern, 4 Pro-Form II fishing chairs, a rod locker, 25-quart cooler and loads of storage. 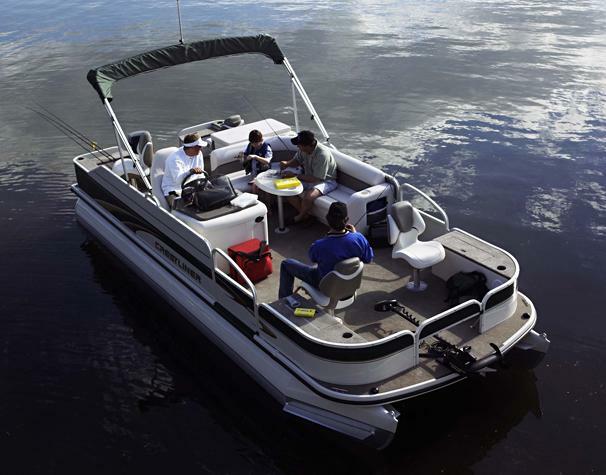 For relaxing, the CFi features an L-lounge with table, pop-up changing room, AM/FM/Cassette stereo, bimini top, deluxe helm station and a sport bucket captains chair with slider.